People hurried past him. Some, out of pity and maybe a sense of religious duty, put a few coins in his hands. Then Rushil heard his name. Four women clothed in white saris walked toward him, their faces beaming to see him. One, named Prashanthi, led the way. "They help us in many ways," Rushil says. "They don't hate us... [Other people] don't like us; they don't want to come near us. But Sister Prashanthi and the team come, and they love us." Something inside his heart leapt. These women weren't embarrassed to be seen with him. They didn't say a quick hello and rush off. They stayed near, touched him, asked about his well-being. "I was so much encouraged and glad that [Prashanthi] not only comes here and serves us and helps us in dressing our wounds … but she also, in public, in the marketplace, she wants to help us, she wants to be a source of encouragement, joy and happiness to us," Rushil says. Prashanthi and her team of specialized women missionaries, Sisters of Compassion, love and serve the least of the least in their society. They consecrate at least three years of their lives to specifically minister to the downtrodden, offering them hope in Jesus' name. "Lord, you have given me life. You have given me hands. You have given me legs. All my body members are given by You, and I want to use it for Your glory. … You have given me two legs, and I want to walk for you. You have given me a mouth, and I want to say Your words to people." 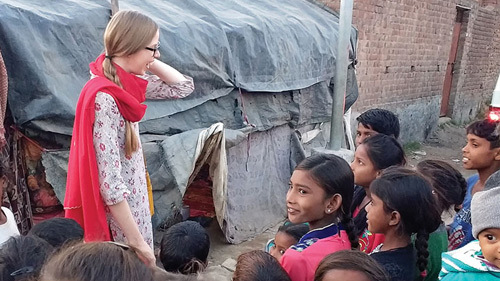 Two years after she spoke that prayer, she was training to don the uniform of a humble servant who would live among widows and orphans, slum dwellers and leprosy patients. Her feet would tread the dusty roads of a leprosy colony. Her hands would feed those who had no fingers or hands. Her mouth would speak Christ's love, grace and hope to hurting souls starving for human kindness. When Prashanthi and her fellow Sisters of Compassion arrived in Rushil's leprosy colony, people automatically knew they were there to help them. 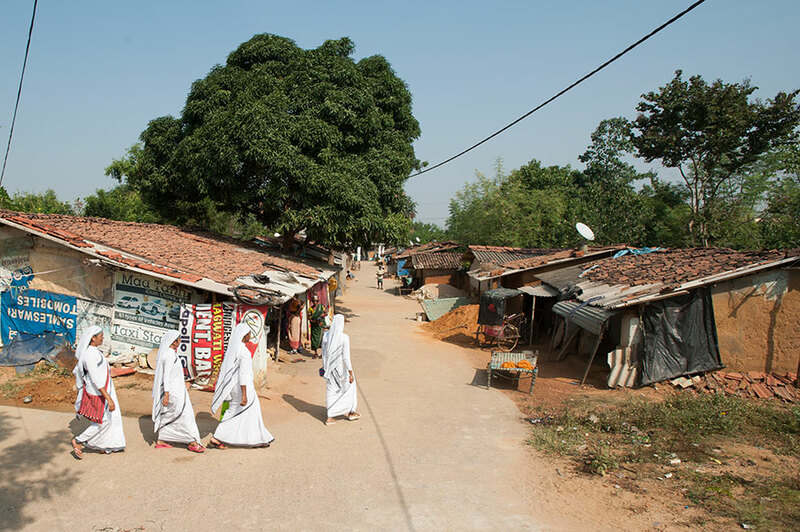 Their white saris and head coverings with gray trim, reminiscent of the Missionaries of Charity, opened doors for them that would have otherwise been shut. Instead of meeting them with hostility and skepticism, people willingly embraced them and opened their hearts to them. And people received love and grace in return. "They help us in many ways," Rushil says. "They don't hate us, or they don't feel disgusted when they come to our colony. … [Other people] don't like us; they don't want to come near us. But Sister Prashanthi and the team come, and they love us. They stay with us. They eat with us. They mingle with us. 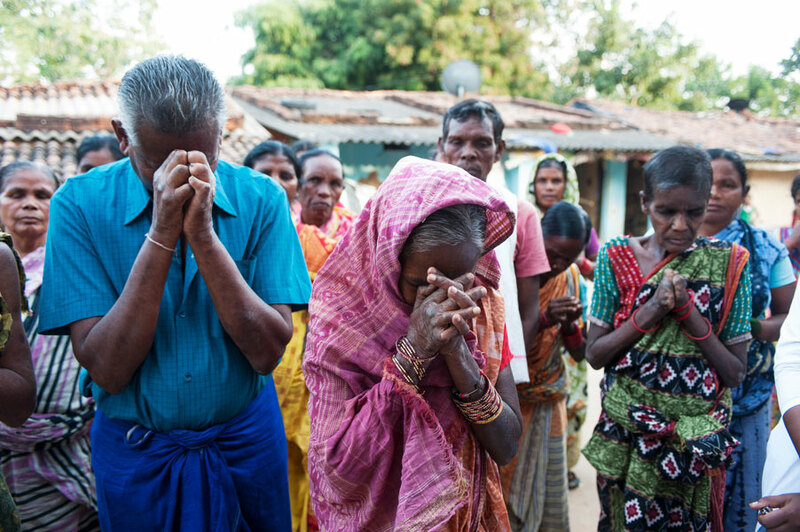 The day Prashanthi entered the leprosy colony, she knew being Christ's hands and feet to these beleaguered people was her purpose in life. She remembered the days when she had seen the plight of leprosy patients on the television and how her heart expanded with emotion for them. This was where she wanted to be. "Whenever I go to the leprosy colony," Prashanthi says, "my heart fills with joy and happiness to serve these people. … If I don't go and help them, I feel restless. The Lord has put that kind of passion and burden in my heart." For more than three years, Prashanthi has been cultivating relationships with the women and men living in the leprosy colony. 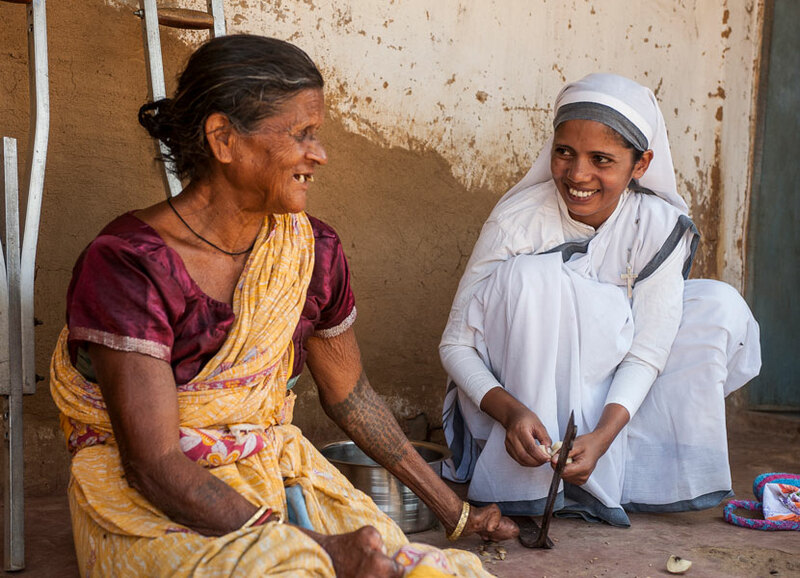 She and other Sisters of Compassion cook, clean, fetch water, trim nails, disinfect and dress leprosy wounds, and even feed those who have been left helpless by the disfiguring disease. But more importantly, they are sources of encouragement; listening ears; friends to laugh with; "daughters" who selflessly and unconditionally love; and ministers of God's Word, offering hope to otherwise hopeless people. 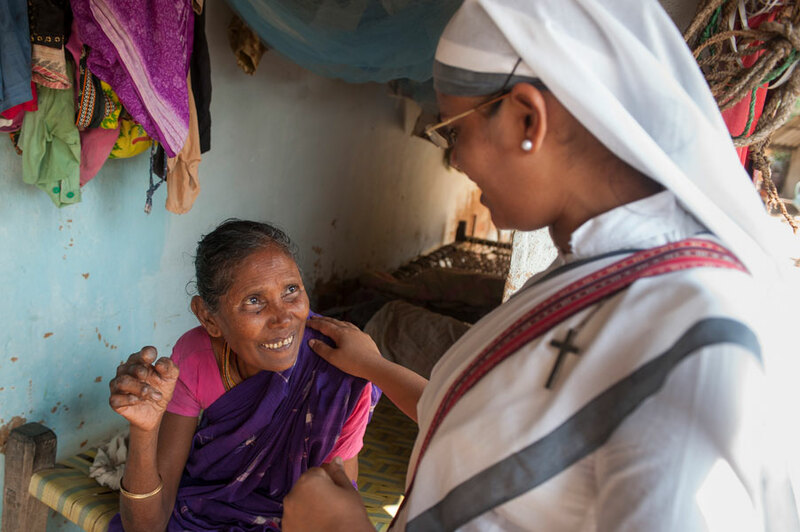 Afflicted by leprosy for more than 30 years and rejected by her own relatives, Pramada (pictured) now feels like the Sisters of Compassion are her family. Pramada has been living in the leprosy colony for around 30 years—since the day her family rejected her for becoming affected by the disease. "All my relatives, including my husband and my children, started to hate me," Pramada recalls. "They started to avoid me and said, 'You don't use our plates. You don't sleep with us. You have to live separately. You cannot mingle with us.' … Nobody comes and visits me, and I am not able to go there because I am sick; I am affected by leprosy. This is the world that I live in; this is my world." But the day Pramada met Prashanthi and her team of Sisters of Compassion, Pramada's world changed. 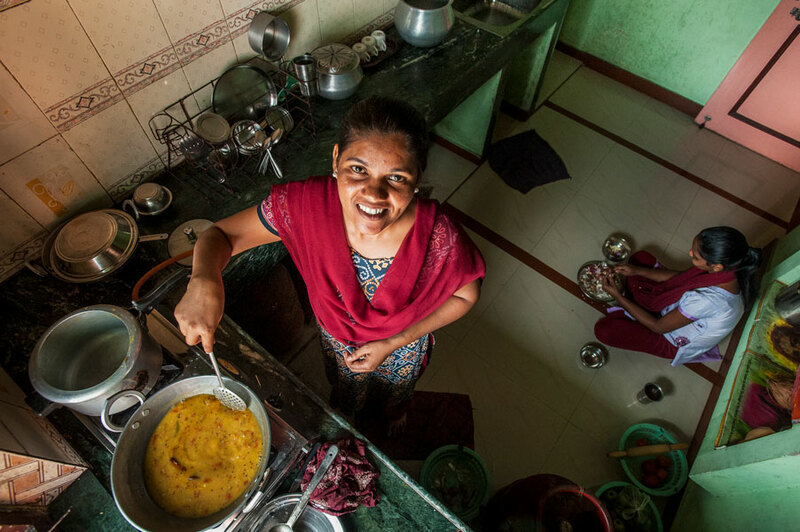 "I feel like Prashanthi is like my own family member," Pramada says, "because the way she serves us. Not only does she help in cooking and feeding and doing all these things, but her love is like my own family member. … That really encourages me, to feel that somebody loves us so much and cares for me and spends time with us." That sentiment is echoed among all who know Prashanthi. Beyond serving in the leprosy colony, Prashanthi serves in nearby villages tutoring children, teaching literacy classes to adult women, praying for people in the hospital, providing income-generating gifts to widows and fathers, and meeting needs wherever she sees them. In one area, she is known as "Jesus Sister" because, as she prayed long ago, she speaks His words to people. "Her God Jesus that she talks about, He is a loving God and caring God," says one widow impacted by Prashanthi's ministry. "God's love I can experience through Sister Prashanthi's life. How she loves and cares for us and the poor and the needy, that shows me that her God is a loving God, and Jesus is a God who cares for people like us." As Prashanthi lives out Christ's life by touching those with leprosy, speaking with them in the middle of a busy marketplace, letting them know she sees them and is not ashamed by them, she's helping others experience the goodness of the Lord and His redemption. 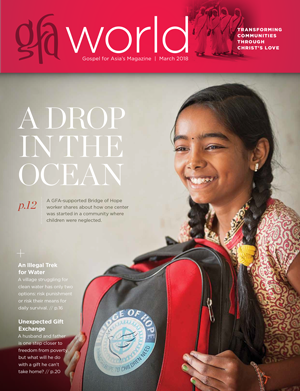 "My only hope," Prashanthi says, "is that [they will come to know] the Lord, who died for them to save every man, whether small or big, poor or rich." 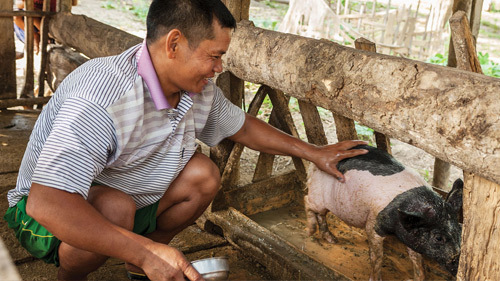 Due to the nature of how leprosy impacts people, some of the images may be graphic in nature. Viewer discretion may be needed. A team of four young ladies, specialized women missionaries called Sisters of Compassion, has dedicated their lives to serving the people in this remote region of Asia. These sisters minister in rural communities, where most of the houses are made of dirt, wooden pillars and beams. They serve among leprosy patients, most of whom are dependent on others to help them with many of their basic tasks. Cooking, bathing, cleaning wounds, washing dishes and other common household chores are very difficult for leprosy patients to do. They love and appreciate the Sisters of Compassion team for being so friendly and caring toward them. 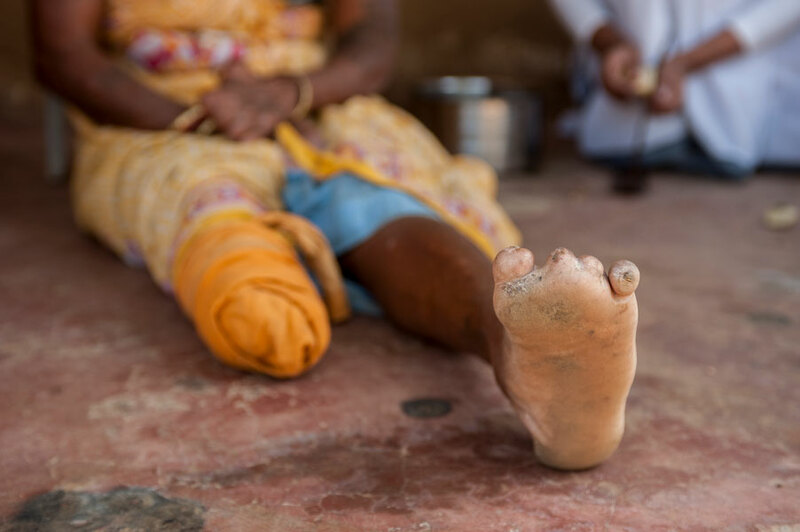 Many of the leprosy patients whom Sister Prashanthi and the other Sisters of Compassion minister to have lost toes, fingers and even legs due to this chronic, nerve-killing disease. Most people are rejected by their families and friends and are sent away to leprosy colonies. When the sisters touch them, it brings great joy to leprosy patients, who may not have had physical contact with another human being for many years. The sisters help people with cooking, cleaning and other household chores. When a person is lacking limbs and digits, it's difficult to accomplish many of the normal tasks that need to be done. Without her fingers, Pramada finds it very difficult to eat or drink on her own. Sister Prashanthi and her team cook food for her and feed her by hand twice a week when they come for a visit to the leprosy colony. 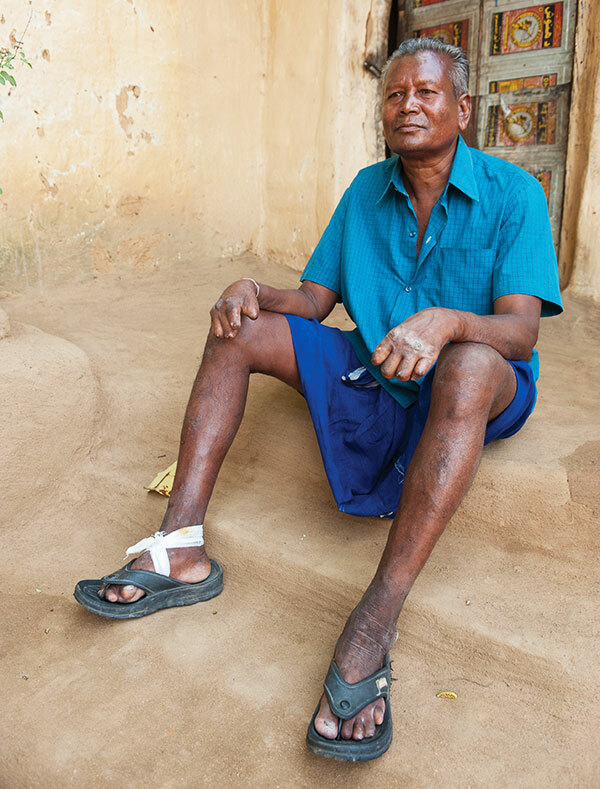 Many leprosy patients need to have their wounds cleaned on a regular basis. Sister Prashanthi and her team have been trained to clean and dress these wounds. Cleaning and dressing open sores is necessary to prevent infection and further loss of extremities for leprosy patients. 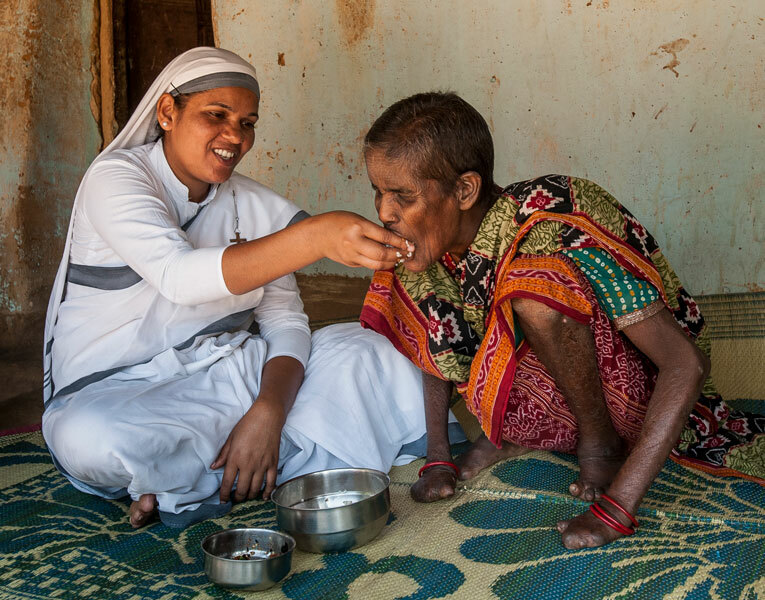 Although it requires hard work and witnessing much grief, Sister Prashanthi and her team are passionate about their ministry to those affected with this disease. 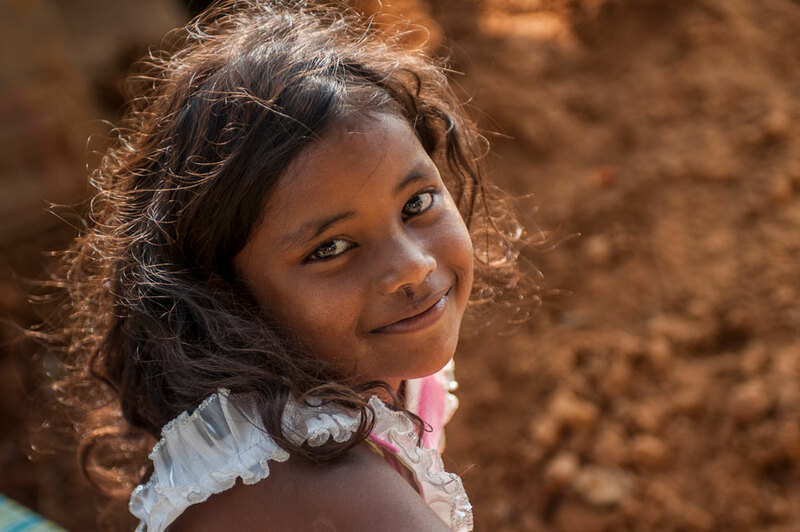 Although the children of leprosy patients may not have the disease, their lives are greatly impacted by it. Their chance of receiving education or acceptance into society may be hindered by the stigma or poverty their families endure. 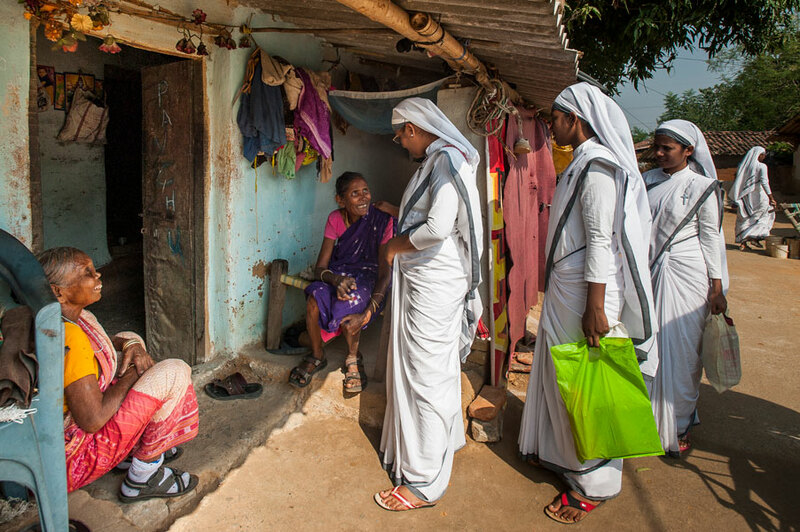 Not only are these leprosy patients eager for the physical care that Prashanthi and her team provide, but they are also hungry for the spiritual care the sisters bring. At the end of a long day of ministering, Sister Prashanthi and the other Sisters of Compassion walk home and work together to prepare their evening meal.